Following the ADA’s release of 2019 Standards of Care in Diabetes back in December 2018, AACE and ACE have now released their 2019 Consensus Statement on Comprehensive Type 2 Diabetes Management. This is a must read as much as ADA Standards of Care in Diabetes. Grab a cup of coffee or tie and sit in your favorite chair for a good read. The link is below. There seems to be an app for everything these days in the diabetes world. So what makes FDA’s approval of an insulin phone app from Hygieia unique? 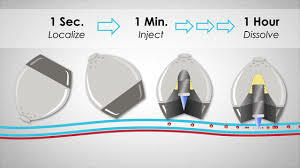 This particular phone app is able to titrate individualized doses for all types of insulin regimens with the recommendations being delivered directly to the patient. This app with connect with any glucose meter and share data with the cloud. Hygieia currently has d-Nav insulin guidance service. Sounds interesting but I am sure that it has its pros and cons like all technologies. To learn more please click below. Have every compared your finger stick glucose to your CGM glucose only to find s significant difference between the two values? So why? A physiologic time lag of glucose transport from the vascular to the interstitial space. 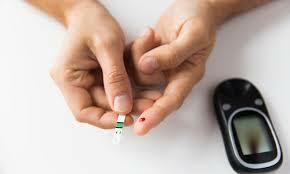 Therefore, interstitial glucose readings (aka CGM readings) tend to lag finger stick glucose values by 5 – 10 minutes. It is even longer if glucose readings are changing rapidly. To learn more, click the link below to watch a short video. As a diabetes educator, I have heard many people with diabetes say to me, “I did not want to come see you because I have bad control of my diabetes.” Some have even said, “I feel I have done everything that I can possibly do and I still have poorly controlled diabetes.” These statements reflect a sense of shame, blame, and frustration. My heart sinks every time I hear these statements. I want to yell it from the mountain tops a person with diabetes does not have to have it “all together” in order to see their diabetes educator or provider. Your diabetes educator and provider are here to support and empower you along this tough journey rather than place judgment on you. Yet, I also get that some diabetes educators and providers do judge people with diabetes based on what a person’s current A1C or blood values are. 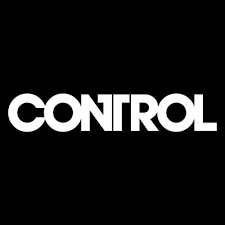 So what are any alternatives to the term “control,” when used as a verb or adjective? “Manage” is an ideal alternative. So why? 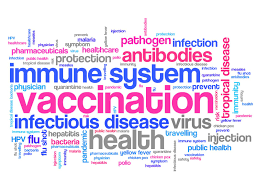 In reality, diabetes is a disease where the body no longer does what it is designed to do so “control” is really difficult to achieve in such a reality. By focusing on what the person is doing well, helps develop a structure to help the person build upon what that they are already doing well. It is not good or bad. Terminology that does not induce blame, shame or judgment is important. Have any of us ever benefited from being kicked when we were down or struggling? I certainly have not! Control when used as a noun is often stated as good control, bad control, or poor control. It takes only a moment to realize that it creates a swinging pendulum where one feels temporarily uplifted when they have “good control” and defeated when they are pronounced to have “bad or poor control.” The reality of diabetes, like any other chronic disease, is there are days where all is going as one would hope and then we have those days where the feeling of what else could go wrong emerges. Alternatives for control should be based on neutral words and on physiology. Terms such as glycemic variability/stability/target/goal, blood glucose levels/targets or A1C are more objective and based on biology. In closing, a short story about Betty. I have been seeing Betty as her diabetes educator for a year. When I began seeing Betty, she would refer to herself as a “bad diabetic?” She would list off all of the self-management behaviors that she considered herself “failing” at. Betty really struggled to identify those behaviors that she had consistently performed. Finally, after about six months, Betty began to start off the conversation with behaviors that she consistently performed such as taking her insulin injections, following her eating plan and utilizing Freestyle Libre system for tracking glucose. Interestingly, Betty found herself building more positive behaviors upon other positive behaviors by shifting her focus from good or bad control. FDA gave a great Valentines gift for those living with diabetes on insulin pump therapy…the green light on Tandem Diabetes Care t:Slim X2 insulin pump with interoperable technology (interoperable t:Slim X2). It is also referred to as an alternate controller enabled (ACE) infusion pump, or ACE insulin pump. It can be used with different components that make up diabetes therapy systems, allowing patients to tailor their diabetes management to their individual device preferences. To learn more click below. Daily Piece: Low Diabetes Exam Frequency in U.S. I have recently written a manuscript on a quality improvement project focused on increasing frequency of documented diabetes eye exam in EMR system for an internal and family medicine practice. So naturally, the article, “Diabetes Eye Exam Frequency in US is ‘Alarmingly Low,'” on Medscape Medical News caught my eye. Dr. Benoit with Centers for Diabetes Control completed an analysis of claims data for insured persons with type 2 diabetes (300,000) with no retinopathy at baseline, and type 1 diabetes (3000). For those with type 2 diabetes in this analysis, only about one in seven met the American Diabetes Association (ADA)’s recommendation for annual or biennial exam. For those with type 1 diabetes, only a quarter met the ADA recommendation. Remember this analysis reflects insured not uninsured persons. To learn more, please click below. Diabetes Eye Exam Frequency in US Is ‘Alarmingly Low’ – Medscape – Feb 12, 2019. Exciting news for Guardian Connect CGM users in the US who are paired with Sugar.IQ app as they now have a new hypoglycemia prediction feature, IQcast. 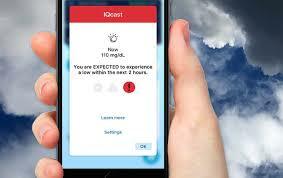 This feature provides users notification if low event is predicted to occur within next 1 – 4 hours.